Meet, BAILEY! 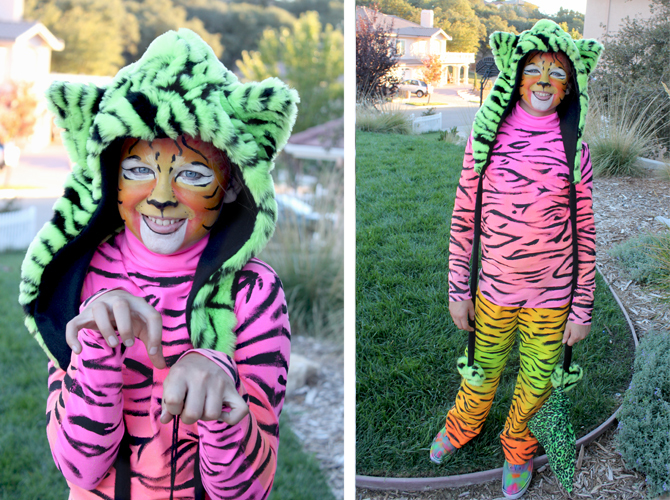 The fierce Lisa Frank-esque neon tiger! She likes balls of yarn and long naps in the glittery sunshine. 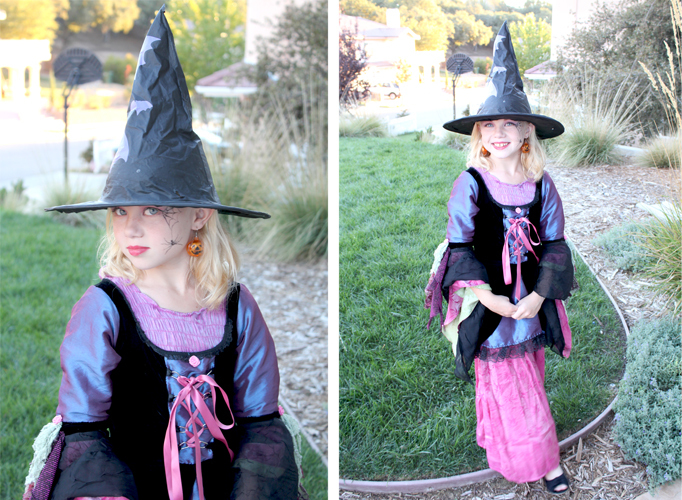 And once upon a time there was a medieval witch named SAGE! She likes to go for long walks in the forbidden forest looking for spider webs and frog toenails. The next character crashing onto the scene is DENVER! 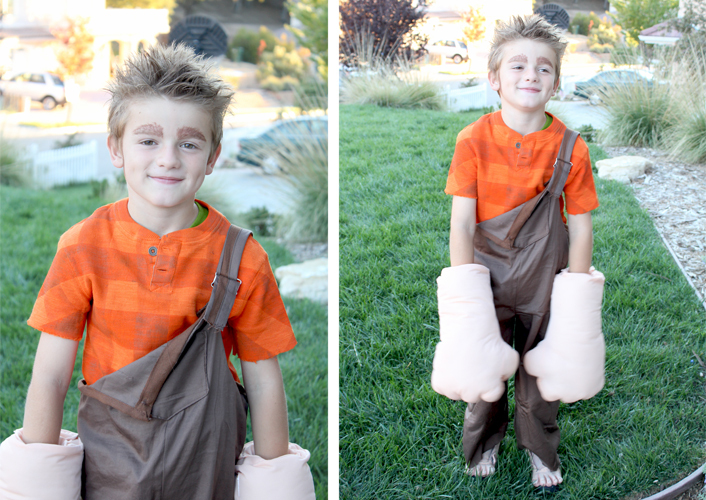 I mean Wreck-It Ralph! He wrecks buildings by punching through bricks, but he wants to be a good guy and other stuff we can’t wait to see when the movie comes out this Friday! After searching high and low for overalls of any color in Denver’s size and failing, my mom whipped these up on her sewing machine today! She is a genius! 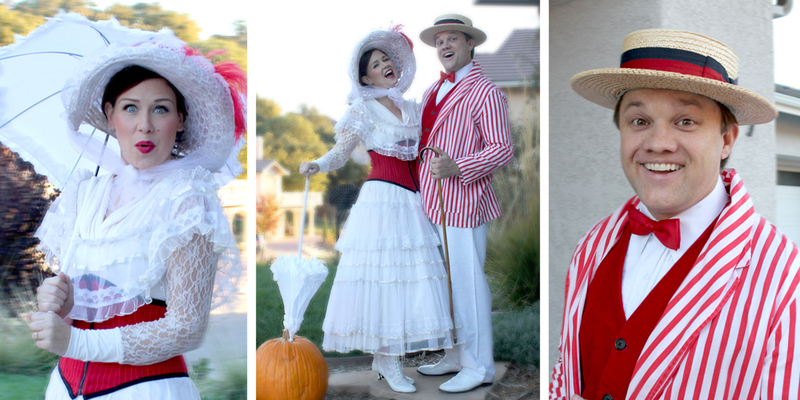 And this supercalifragilisticexpialidotious couple are planning to have a practically perfect Halloween as Bert and Mary Poppins. Mr. John and I will have more than a spoonful of sugar after we raid the kid’s trick or treat bags tonight! So that’s what our Halloween looks like. We always have a lot of fun and hope you enjoy a super fun and fantastical Halloween! Wow! The costumes are fantastic! I might get one trick or treater…so sad. But that's ok, tomorrow is COOKIE CON! 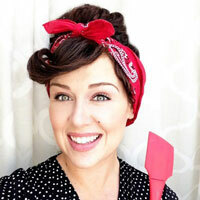 This post is so full of win – Lisa Frank, Wreck-It Ralph, and an AMAZING Mary Poppins get-up!? Love it so much! Awesome! That picture of Sage on the left looks just like you, but as a beautiful blonde. You are so adorable! Love your costumes! 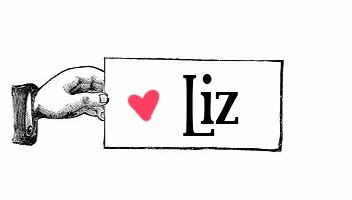 OMG Liz, you rock! love all the costumes! Lovely costumes, and the make up….! Do you do kids make up too? Amazing, happy Halloween!